Armed police were dispatched to the scene after a shooting in Doncaster in the early hours of today. A weapon was discharged at a house at around 12.30am on Maple Grove, Conisbrough. No one was injured in the incident. Police were called after loud bangs were heard in the area, and an armed response team was sent to the site. Detectives from Doncaster CID are investigaing the incident, said Insp Dan McKnight. 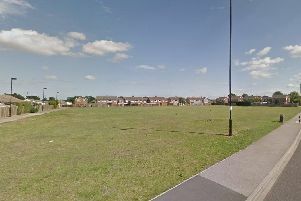 It is the second incident involving a gun in being fired in Conisbrough in the last month.